Did your family eat together when you were little? Is your family eating together now? While it sometimes not possible due to work schedules, family mealtime is something that should be a priority whenever you can make it happen. Family eating together encourages family to stop and enjoy each other’s company and to really connect with each other. A new survey conducted by Toluna in April 2016 of 1,000 participants, just revealed some surprising data including that half of parents say they share fewer meals with their family than when they were growing up! Fifty-seven percent of parents also noted that “even when eating meals together, some family members are distracted by technology.” This post is sponsored by The J.M. Smucker Company as part of their nationwide Mealtime Movement initiative to bring families back to the table. Now, that is something I can get behind. Is Your Family Eating Together? So is your family eating together? 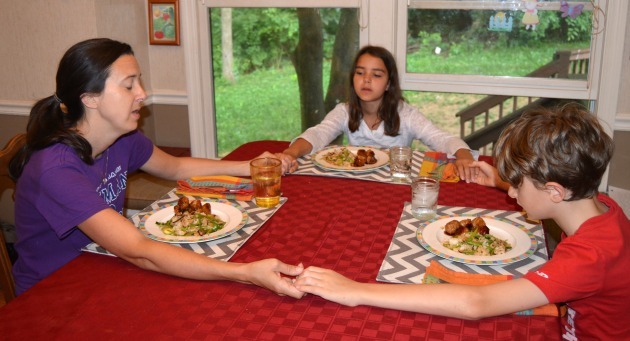 Do you sit down together for to enjoy healthy family dinner recipes? How about for weekend meals? If you do, you probably notice the magic that happens at the dinner table. We all relax a bit and talk and share about each other’s day. According to that same survey, “76 percent of parents say they learn a lot from their kids over meals”. I would venture to add that our children are also learning a lot from us as parents and not just by what we say but how we act, how we take time to pay attention to them and to each other. They are soaking it all in like little sponges and the time we spend together listening to each other, builds bonds and keeps the communication open. There are actually a long list of benefits of family time and for the importance of family dinner. In an effort to bring families back to the table, The J.M. 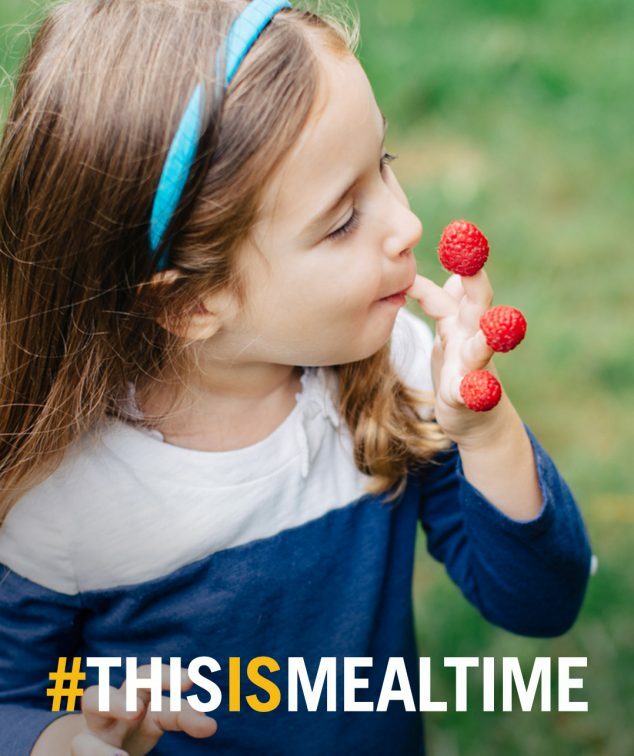 Smucker Company launched a nationwide Mealtime Movement initiative encouraging families everywhere to connect by taking part in a family meal and sharing their experiences using the hashtag #ThisIsMealtime. To see how the Mealtime Movement Challenge is working for three real-life families, check out the “What Actually Feeds a Family” video made in partnership with SoulPancake. I had the pleasure of meeting the man behind the making of the video and I have to say he is such a genuine, nice soul. I love watching his videos because he brings out the goodness in life and it is everywhere if you let yourself connect to it. I loved watching these families connect and share with each other their deep feelings. Don’t forget that just sharing a laugh or listening to what your child learned at school is important too! Little moments build the foundation for big moments. 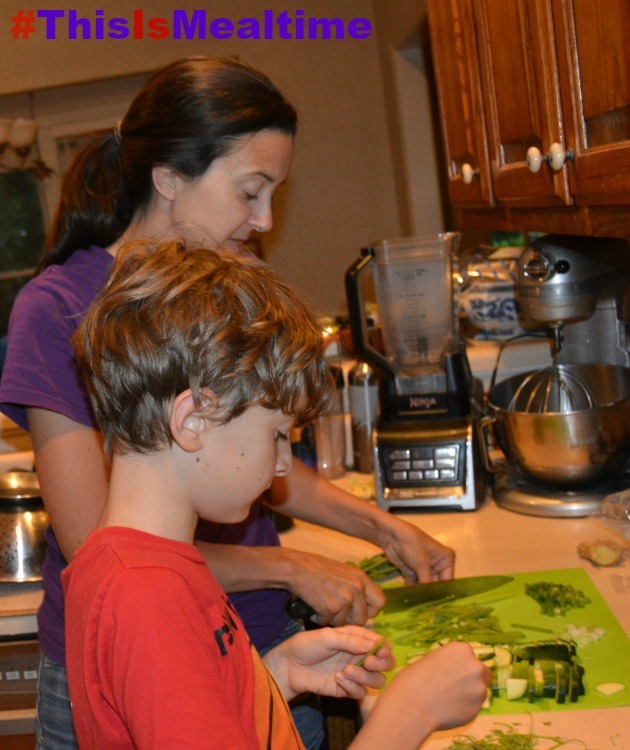 I took the Mealtime Movement Challenge and I took it a step further and made my munchkins help me in the kitchen. I love when they help me cook! We always say prayer when we sit down for meals together because we want to take time to be grateful for all that we have, the food, and each other. I enjoy that part of the meal every time. Then we usually dig in and start learning about each other’s days. Sometimes we talk about things that happened and are bothering us. Sometimes we talk about our plans for things to do. Sometimes my son tells a joke or a story. But we always enjoy sharing. Family eating together is just part of the fun of the day. It is even better when my husband can be there too but if he has to work, then we still enjoy family mealtime. Get your family eating together- you will love it. Take part in a meal with your family – you can use the tips and expert advice available on MealtimeMovement.com. 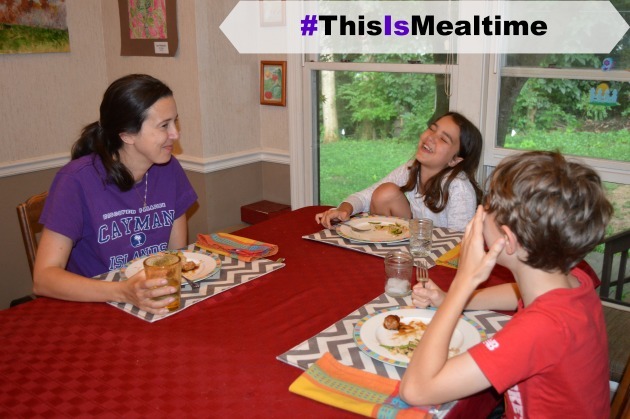 Share your family’s experience eating together using #ThisIsMealtime to help encourage everyone to join family mealtimes. Get connected to your family members, cook together, share food, help each other, advise each other, listen to each other, LOVE each other. Family eating together is great bonding time! Tell me how you enjoy joining the mealtime movement! Great web site you’ve got here.. It’s hard to find high quality writing like yours nowadays. I seriously appreciate individuals like you! I think that eating with family is an important part of coming together and caring for each other. My family and I eat almost all meals together! Hello,I read your new stuff named “Is Your Family Eating Together? 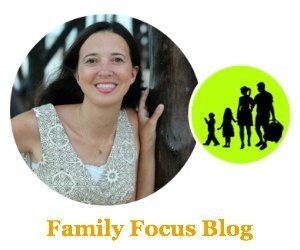 Take The Mealtime Movement Challenge – Family Focus Blog” daily.Your story-telling style is witty, keep it up!